Have you ever heard of the Liebster Award? 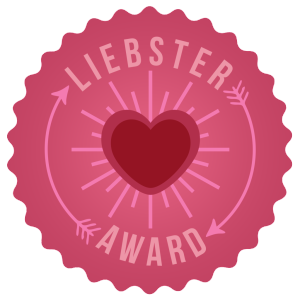 Liebster is German and translates as Favourite (… Award) into the English language. Nominations are made by bloggers for their favourite writers. Once you are nominated, you simply answer the questions sent to you, nominate another 10 writers, ask them 10 questions and let them know. Lovely Ilana, from Ilana on the road was so awesome to nominate me for the Liebster Award. Thank you so very much Ilana. It is good fun to participate and to get to know what others are up to. 1. What’s your earliest travel memory? My earliest travel memory is of happy summer beach vacations spent with my parents at the coast up north. 2. What’s your top 3 list of travel recommendations? 1. Visit as many recommended sights as you can. They are everybody’s favourite for a reason. 2. Don't haggle with every vendor you meet, don’t forget that it is their income you play with. Are you really proud to have made money from a person who earns very little money and might live in poverty? 3. Go to the hottest restaurant in town. Eat, drink, be merry … celebrate to be alive. 3. What would you say to a person who never travelled? The world is a beautiful place. Just go and have a good look around. I am sure you will also fall in love with it. 4. What are your travel plans for the next 6 months? I have only three trips planned. The next two times I am going to visit places in Bavaria, Germany. In July I am off to Stockholm, Sweden. I am still not sure about my summer vacation and what I am going to do in autumn and at the end of the year. There are a few tough choices to be made. 5. What’s your favourite winter destination? The only trip which involved snow was to the Australian Alps. I went for long walks and loved to stay at my rented hut at night and cosy up in front of the open fire place. Every now and then I start dreaming of going to Lapland in winter for a little sub-zero adventure. 6. What’s the most important advice you ever received? Stay true to yourself and do not lie. 7. How would your life be without travel? Maybe I would end up buying a TV? 8. What’s your biggest challenge when it comes to travel? I love to be in the wilderness but I am also a real fan of everything urban, hence I mostly split trips between camping in the bush and spending time in the city. It is only natural that I struggle with squashing all stuff into the one piece of luggage which I carry with me. 9. What are the 6 countries one should not miss in a round the world trip? This is not easy to answer at all since the world is so brilliant really. South Africa, Cambodia, Botswana, The Netherlands, England, Fiji. You can pick another six for the next trip, right? No matter what you do 1. be authentic and 2. be your own critic. And I would like to ask the following writers these 10 questions. Thank you so very much in advance. I can't wait to hear your answers. 2. Please give 5 adjectives to describe the way of life in your home country. 4. What is the longest road trip you have ever been on? 5. What would need to happen before you give up travel and adventure? 6. Would you rather spend your money on a stay at a fancy boutique hotel or on a lavish dinner at an exceptionally great restaurant? 7. Some say money can buy happiness. What is your opinion on it? 8. Last time you felt truly cheerful? 9. Please let us know what 3 skills make life easier for a travel writer/blogger? 10. Please explain how social media can lead to friendship? Hi Franca, great to talk to you. I just read about your couch surfing experiences and jump over to your blog and comment. It is a great article. Thanks so much Dorothee. Really nice of you!